It gives me great pleasure to invite you to 7th Pan Arab Human Genetics Conference (PAHGC). The theme of the conference this year is ‘The Omics Era’. 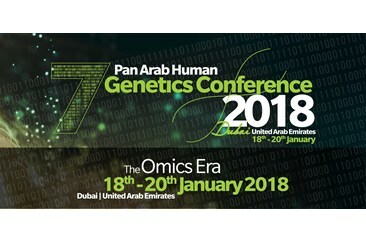 With the organization of the Pan Arab Human Genetic Conference, the Centre for Arab Genomic Studies (CAGS) has always endeavored to bring together diverse expertise and resources pertaining to the field of medical genetics in the Arab World, thereby facilitating multidisciplinary research. These conferences successfully provide a platform for regional and international researchers and professionals in genetics to have a constructive dialogue and share their views. We continue our efforts in this direction with the 7th PAHGC. This edition of the conference will focus on cutting edge topics pertaining to human genetics, specifically, the use of Big Data, personalized medicine and its relevance in the Arab World, and the latest trends in human genetics, including metabolomics and the human microbiome. International and regional experts will take to the platform to deliver their lectures on these topics. We are also encouraging researchers to submit their abstracts for oral or poster presentation at the conference. Workshops on focused topics will also be held on the sidelines of the conference. We look forward to your presence and active participation at the 7th PAHGC, to be held between the 18th and 20th of January, 2018 at Dubai, United Arab Emirates.